A huge collection of cheats for you to look through and includes level ups, repair and recharging weapons, easy money, getting arrows and item duplication. Plenty of hints and tips for you to try including a depleting skill, restoration skill, infinite money and a vamporism cure. Skill Raising With Living Practice Dummies! We have 241 questions and 577 answers for The Elder Scrolls IV: Oblivion. Check them out to find answers or ask your own to get the exact game help you need. 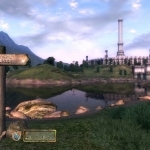 Scroll Locations In Oblivion ( Alluring Gaze, Minor H..
Lots of videos on the different sections of the game for you to look through and includes Nature's Fury, Knights of the White Stallion, The Coming Storm and Ghosts of Vitharn. A large collection of FAQ/Walkthroughs for you to look through and includes an Equipment guide, Downloaded Content FAQ, Character Creation Guide and a Secrets FAQ. This game is probaly the best game ever I would recommened this as one of your first games for the..